And JUST in time for the Holiday Season!! If you are wanting a change or even thinking about making a move, give our team a call!! We are here and would LOVE to help you too!! 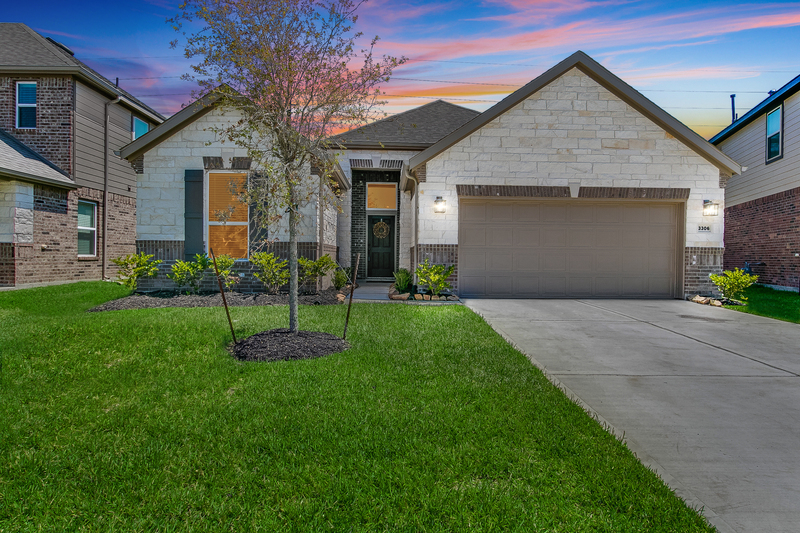 This gorgeous one story, 4 bedroom, 2 bathroom home is only 5 months old! Everything fantastic about a new build without having to wait! Seller’s spared no expense in beautiful upgrades, featuring 12 ft. ceilings, 42″ kitchen cabinets, stainless appliances, and granite counter tops just to name a few! This Energy Star certified KB Home backs up to a green belt with beautiful trees and no back neighbors! Great tax rate for new construction, location makes for an easy commute. Amazing community amenities including, parks, community pool, and trails to walk.